In recent months, I researched and sampled different hydrogen products, including molecular hydrogen and anionic hydrogen products. I posted an article titled Wonders of Molecular Hydrogen last month. This month I continue writing about benefits of hydrogen for health. Yet, in today’s post I document my personal experience with it, as well as the experiences of a few other individuals who have benefitted from it. For those who don’t know—and that included me not long ago—hydrogen is the subject of more than 500 peer-reviewed papers in the scientific literature. 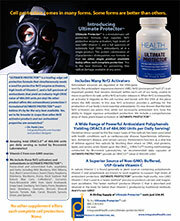 Hydrogen is rapidly becoming recognized as an important nutrient for health. 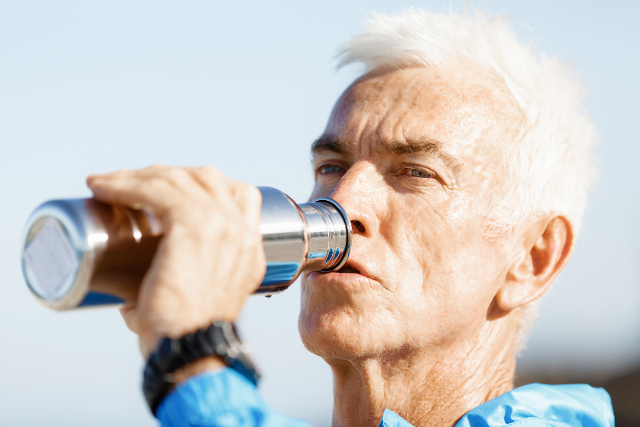 According the Molecular Hydrogen Foundation, studies show hydrogen to exhibit therapeutic potential in nearly every organ of the human body, and in 150 different human disease models. As such, there is an explosion in the amount of research on hydrogen, and quantum leaps are being made in understanding its importance for health. I began testing hydrogen products a few months ago. I began by drinking a pre-bottled hydrogen beverage known as H2Bev. Shortly thereafter, I sampled a tablet form that effervesces (fizzes) in water called Active H2. 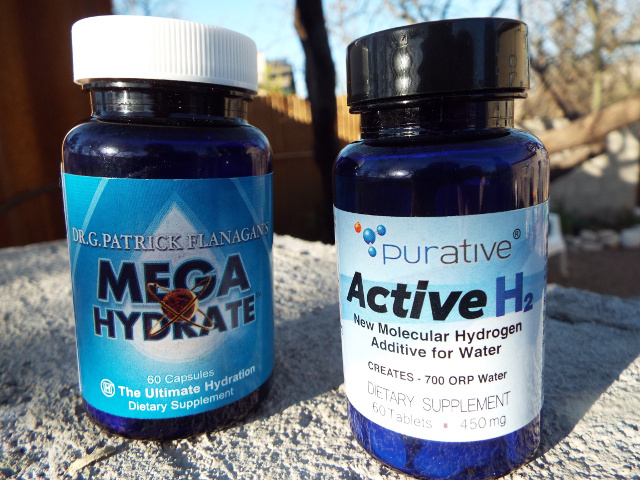 MegaHydrate and Active H2 are two products providing hydrogen I tested. 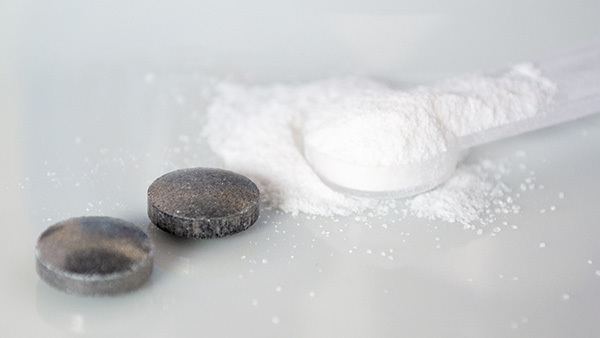 Since then I have tried other delivery methods, including a unique encapsulated product known as MegaHydrate, which provides hydrogen anions. I experience benefits from all of them. HPDI now carries all three products. • Greater Physical and Mental Energy. The first benefit I noticed was a increased physical energy closely followed by greater mental energy. This helps me throughout my day, especially in the later afternoons. 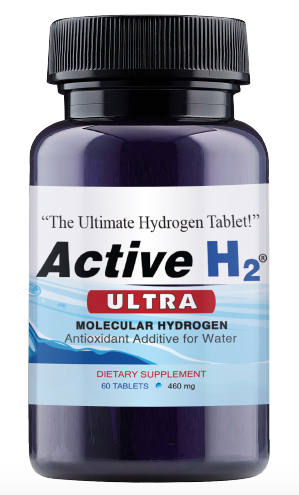 If I experience a lull in energy, I can take an Active H2 tablet in water or a MegaHydrate and feel an immediate lift. • Faster Recovery after Exercise. I frequently hike, as well as participate in aikido, yoga, and sometimes run. In each case, I notice decreased recovery times. • Increased Clarity and Focus. This benefit perhaps relates to increased mental energy. However, beyond mental every itself, I experience clearer thinking and a better ability to focus. • Less Need for Sleep. I can fall asleep later or wake earlier, with less tiredness during the day. I am not prevented from sleeping. I can just get by with less when necessary, it seems. • Improved Mood. Maybe this benefit relates to increased physical and/or mental energy. However, for me it means going through the day on an even keel. My mood is pretty good to begin with. I feel this benefit could relate to general feeling of well being I seem to gain when using the hydrogen products. 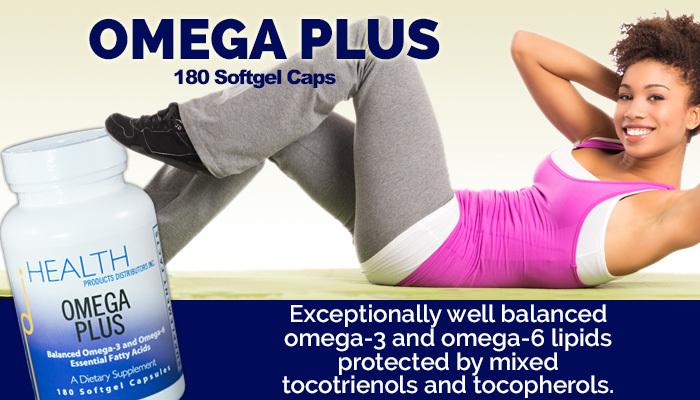 I experienced these benefits immediately after I began consuming hydrogen-infused water and the MegaHydrate (capsules). I continue seeing these benefits as I have keep taking hydrogen, and have increase my intake. In fact, it feels as if these benefits may accrue over time, so I will continue taking hydrogen over the course of weeks and months ahead. Nearly everyone I speak to reports increased energy. 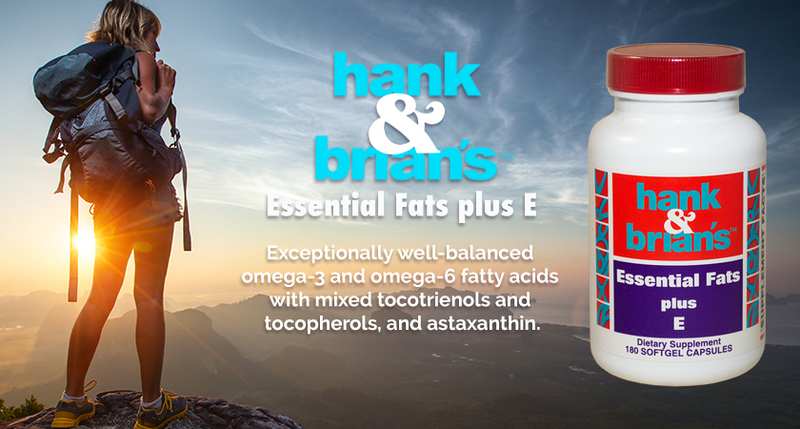 This may be among the most important benefits because not only because we can all use greater energy, but also because it shows how rapidly and effectively hydrogen works in the body. Almost everyone who I spoke to who has tried one or more hydrogen products say they breathe easier because of it. One person said it really helped their exercise performance. Another person said that since allergy season has started, this benefit is major for them because usually early spring is a time of difficult breathing for them due to the prevalence of pollens and other plant allergens. I personally have noticed I need less sleep. However, others report to me they sleep more soundly. It may be that improved breathing is the reason for sounder sleep. But it may also be they are simply sleeping more soundly as a result of taking the hydrogen. In either case, they enjoy sleeping more soundly. 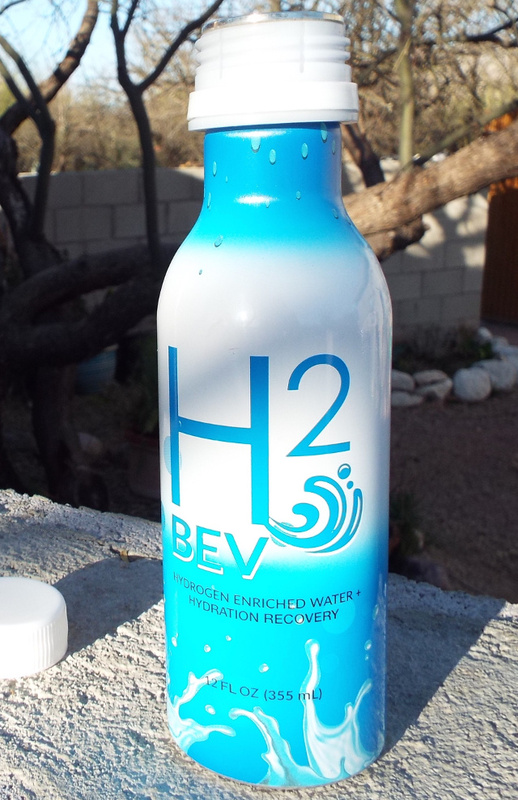 H2Bev hydrogen-enriched water is pre-bottled, ready to drink. Now that I’m testing three hydrogen products and receiving their benefits, I don’t want to be without them. Who wouldn’t want increased physical energy or mental energy or improved breathing? And as much as I gain from a full night’s sleep, the benefit of being able to get by with a little less when necessary is nice. 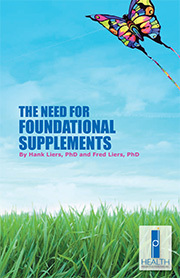 • The need for less nutritional supplementation. 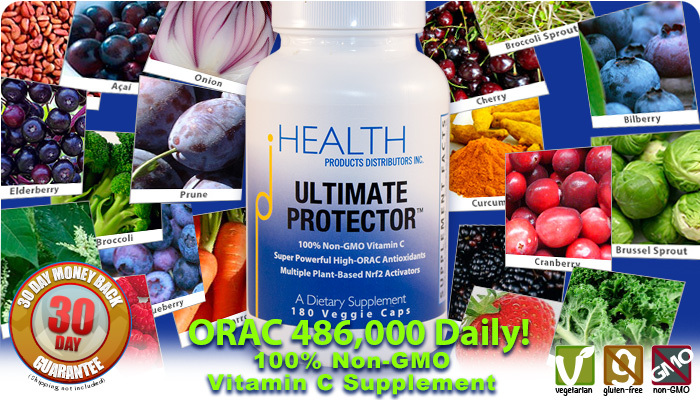 I will always take nutritional supplements, but I have reduced the amounts I take of certain supplements. This may be due to increased absorption relating to the hydrogen. • Eating less. I am not sure whether this directly relates to consuming hydrogen. It may be more related to how the body assimilates nutrients when hydrogen is present in my body. In any event, I am eating less and I am less hungry. I’m not depriving myself, I just feel more satisfied from the foods I eat. I have also heard this from others using hydrogen. I’m not sure whether they consider it a benefit or a side-effect. For now, I’m just making observations. WHAT HYDROGEN PRODUCTS DO I LIKE BEST? It’s difficult to say which of the three products I’ve tested that I like best. Each appears to have its place in my life. I enjoy the convenience of H2 Bev when I’m traveling or even just taking a day trip. I can grab a bottle or two and go. I don’t have to worry about mixing tablets with water or taking an extra container with me, or remember to take a capsule. 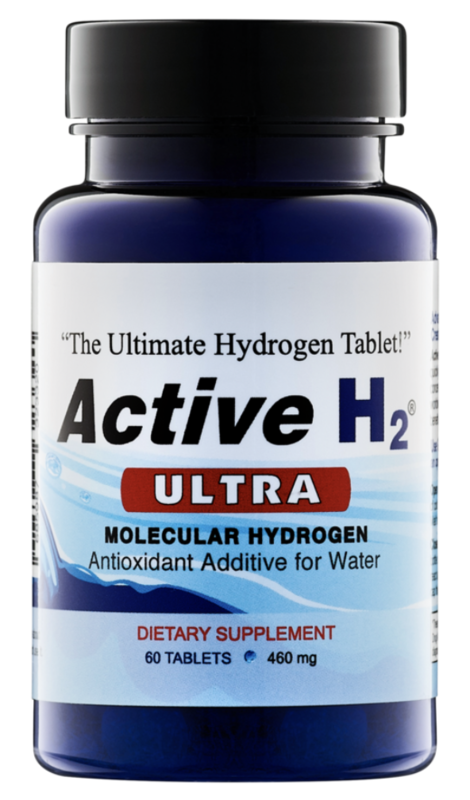 Active H2 is great, too. It only takes a few minutes for the tablets to fizz. I use a glass or metal container. I would say that ounce-for-ounce Active H2 provides more hydrogen than H2Bev, so this is an advantage to me. 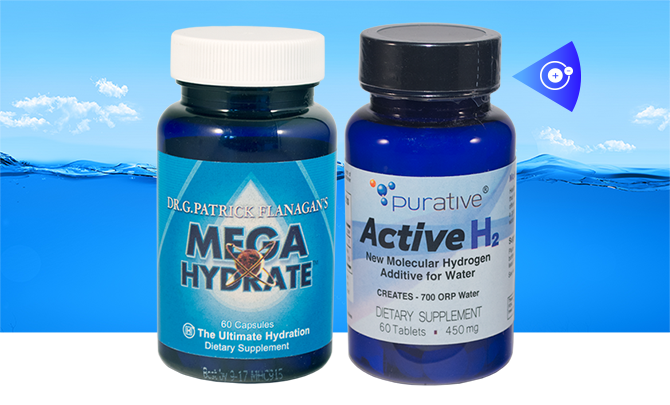 Both of these products ensure hydration because you’re drinking water infused with hydrogen. 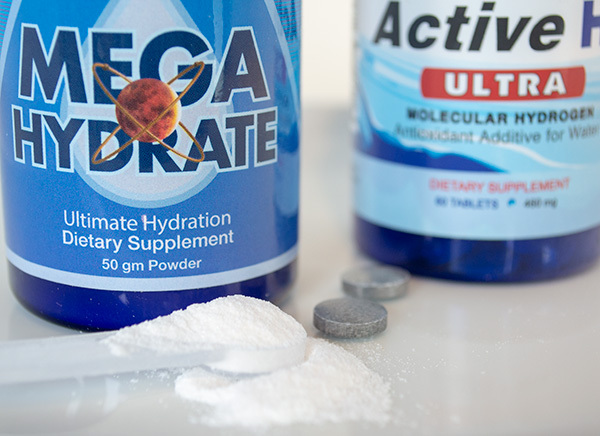 Megahydrate is the easiest to take due to its capsule form. 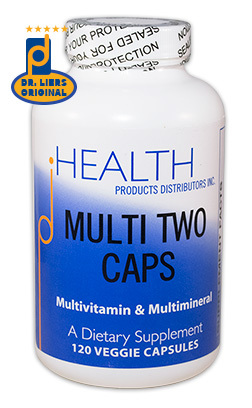 I feel it offers more noticeable effects (and maybe 2–3 times as much hydrogen per dose as other products) and they last a long time. I don’t necessarily drink much water when taking Megahydrate, but it helps when I do. I need to remember to drink it with sufficient water, perhaps six to twelve ounces. 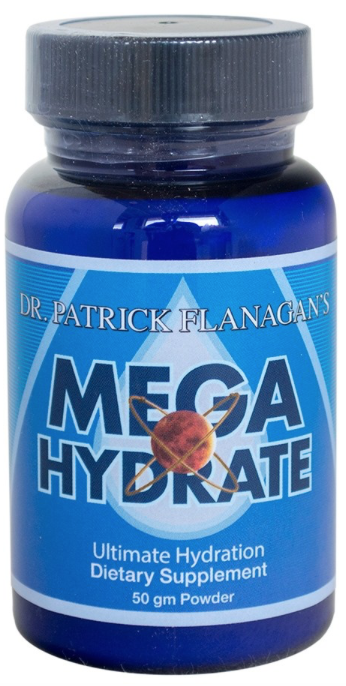 I really like Megahydrate, and it offers certain advantages. It has broad applicability like other hydrogen products. But it is unique because it has different modes of action containing an abundance of negative hydrogen ions within a colloidal silica matrix. 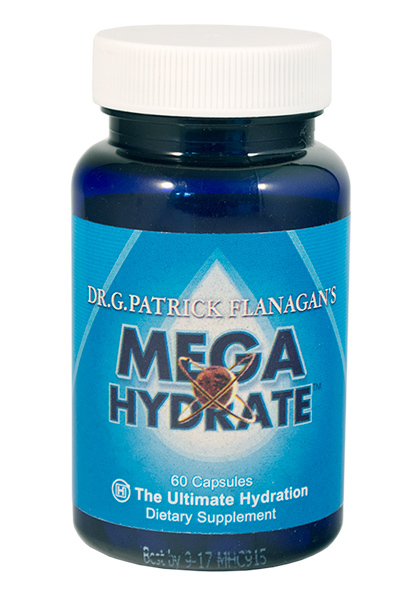 In fact, Megahydrate may be the ultimate hydrogen product (even better than molecular hydrogen). 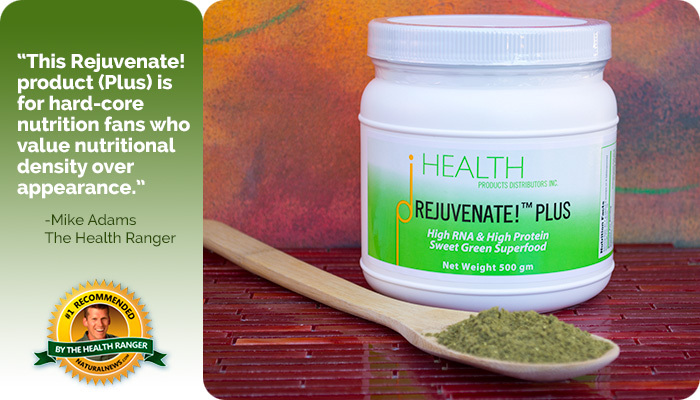 This is because it not only greatly enhances the production of ATP (cellular energy) in the body and the hydrogen it provides acts as a powerful antioxidant, but also because it can unlock the potential of water as a medium for nutrient replenishment and waste removal at the cellular level. This makes it a uniquely different product. 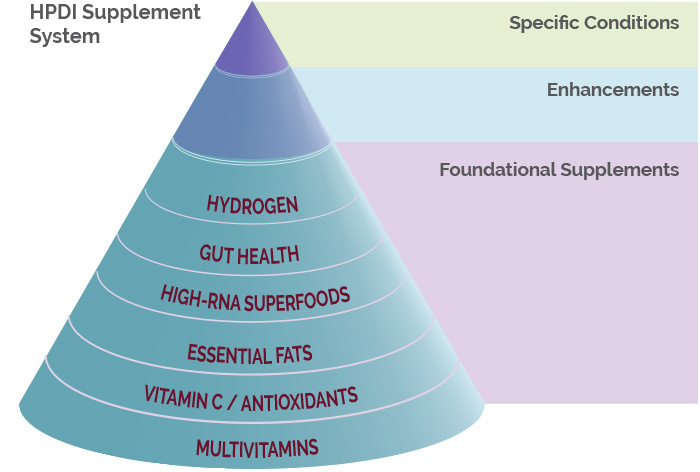 Hydrogen is a worthy supplement with much scientific literature behind it. The fact that I receive similar benefits from three different products speaks well for the science. Regardless of which hydrogen products I use on a given day, what I gain from them is what matters most. I will continue testing products providing hydrogen. I will write additional blog articles and perhaps update this post, as well. I recommend individuals try molecular hydrogen products for themselves because I believe most people will benefit significantly from them. We also recommend checking out the website of the Molecular Hydrogen Foundation (www.molecularhydrogenfoundation.org), which provides scientific studies and technical information about hydrogen.